JWI is proud to be recognized in the 2017 Slingshot Guide, the foremost comprehensive resource into today’s most groundbreaking and significant organizations, projects and programs of the North American Jewish community. Inclusion in the Guide acknowledge's JWI as one of the best drivers of future Jewish life and engagement. 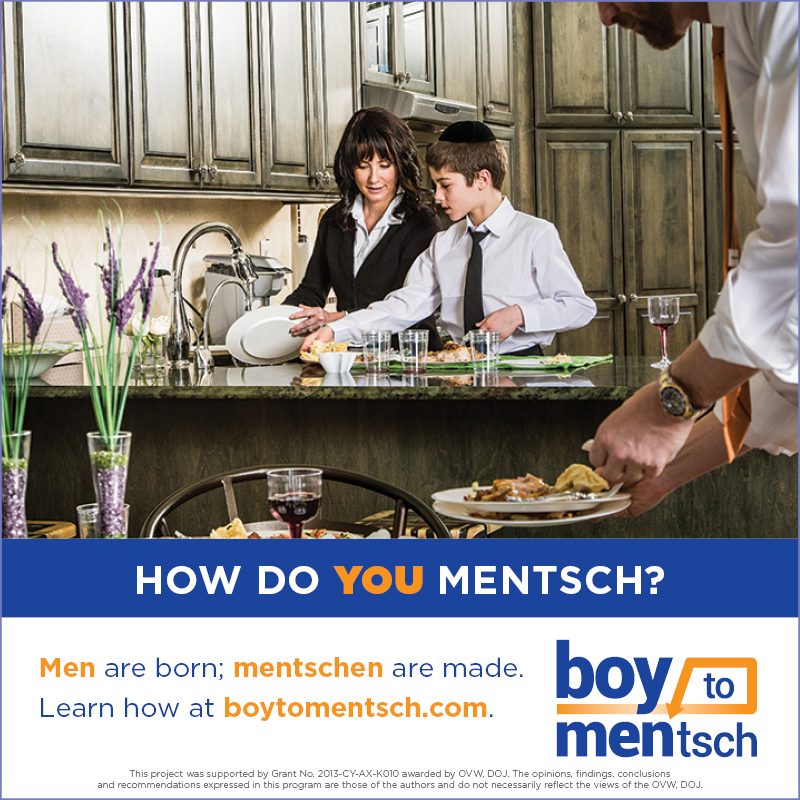 Boy to Mentsch is a JWI initiative empowering the Orthodox community to embrace the Torah and Jewish values that can help boys become true mentschen. The Torah and Chazal deeply valued emotional expression, speaking respectfully, teamwork, help-seeking behaviors, and sensitivity to the feelings of others. 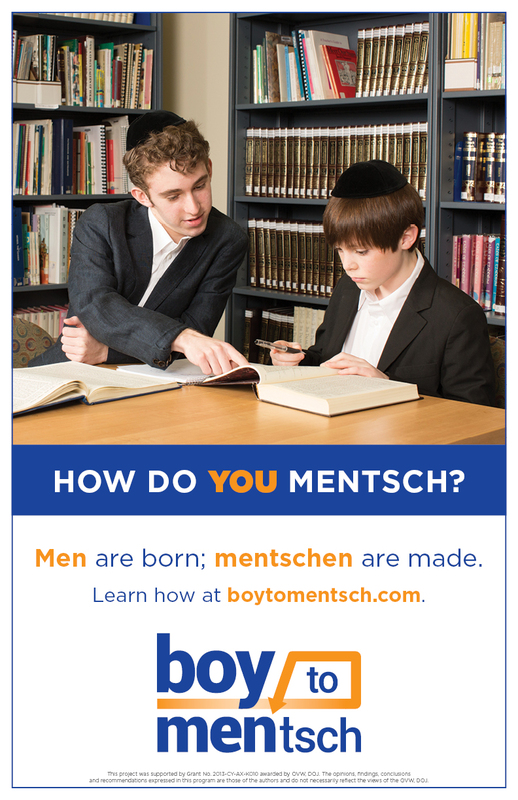 These characteristics make a healthy and complete Jewish male, an איש שלם. This is called healthy masculinity, and it means raising boys as complete people who express themselves, care about others and thrive as good husbands, friends and members of the community. 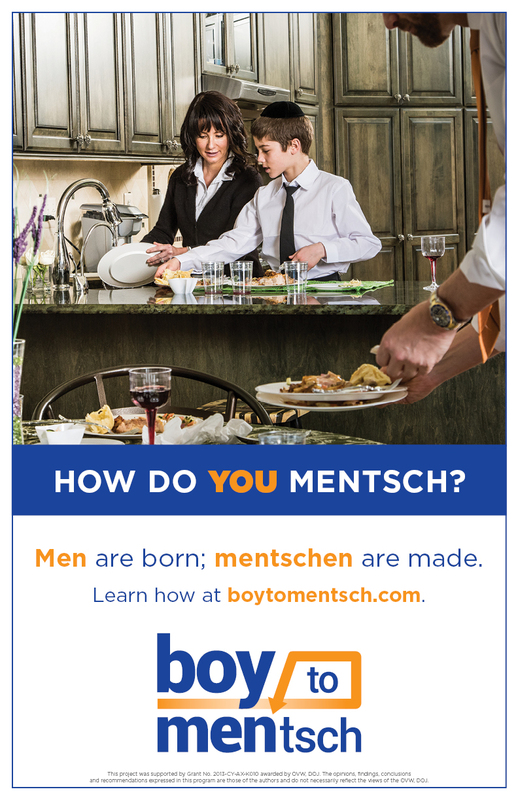 Boy to Mentsch is a community-wide initiative that includes a public awareness campaign and a variety of educational workshops for adult men, young men and boys in the frum community. To bring this project to your community, email Deborah Rosenbloom or call (202) 464-4816. Jewish Women International (JWI), inspired by a legacy of progressive women’s leadership and guided by Jewish values, works to ensure that all women and girls thrive in healthy relationships, control their financial futures and realize the full potential of their personal strength. CHANA offers a Jewish community response to the needs of persons who experience abuse and other forms of interpersonal trauma. In providing crisis intervention, education and consultation, CHANA advocates for community awareness, safety and healing.